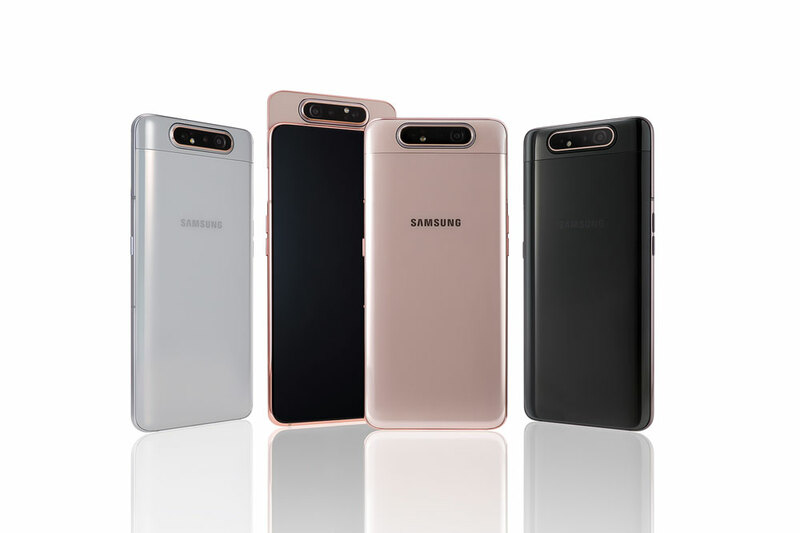 Samsung have launched the Galaxy A80 as part of their photography and social media-focused Galaxy A smartphone family. We run through 5 points about what we like and don’t like about the A80’s feature set, including its rotating camera module. 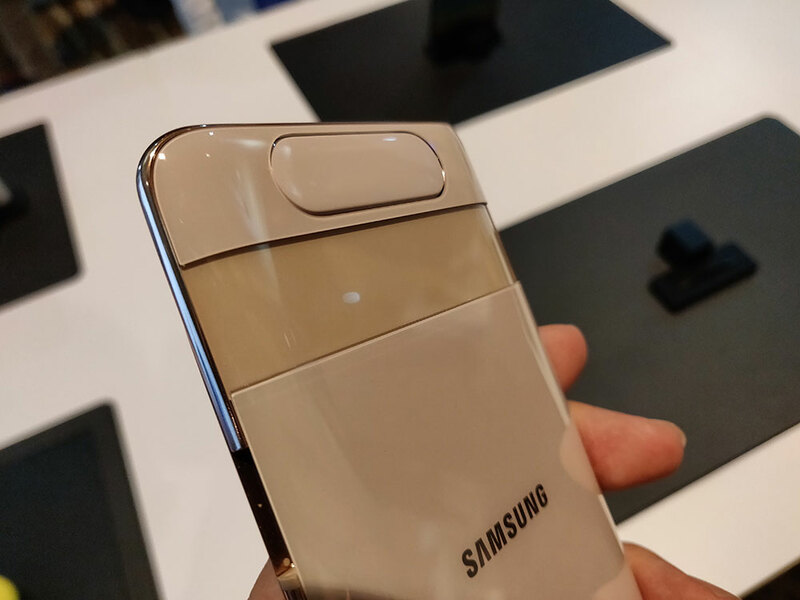 At Samsung’s latest Galaxy Unpacked event yesterday, the Korean trendsetter took the wraps off the two latest additions to its range of Galaxy A phones. Touted as devices with exceptional social media utility, the two new models—the A70 and A80—debuted to the world with some pretty interesting implementations in the camera department. 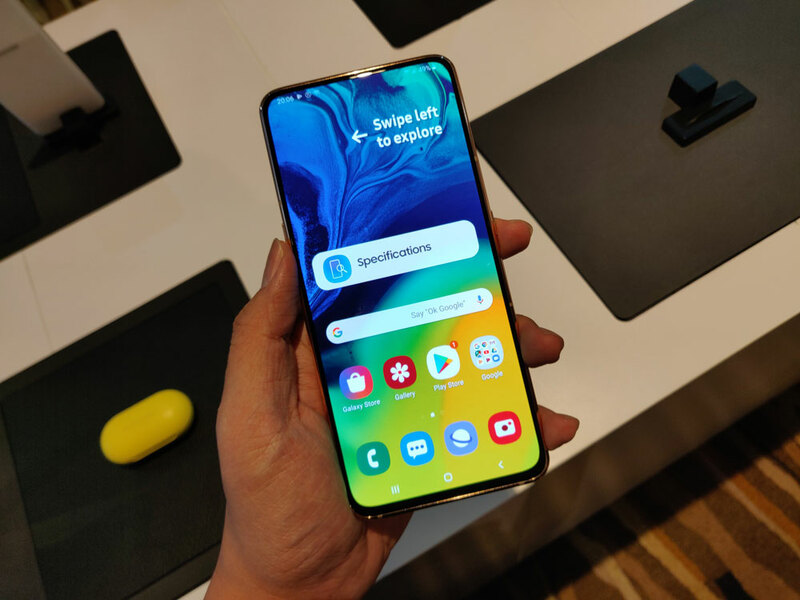 At the event, we got the opportunity to have a close-up look at the A80, and we discovered a few things we liked and did not like about the phone. 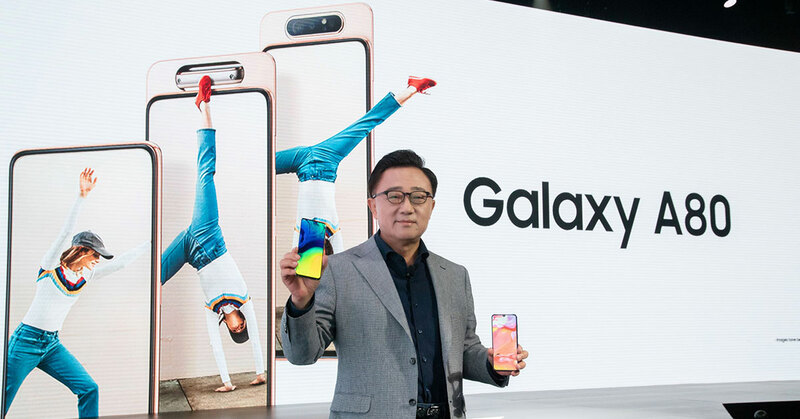 The Galaxy A80 comes in three colours: Ghost White (left), Angel Gold (middle), and Phantom Black (right). With the A80, how Samsung is choosing to tackle the challenge of creating a display that’s truly edge-to-edge is at the very least intriguing. The phone now follows in the footsteps of other devices like the Find X from Oppo and the Mi Mix 3 from Xiaomi in adopting a slider mechanism to unhide the front-facing camera, and goes a step further by actually using two motorised implements to do the job. The rotating camera in action. When you activate the front-facing selfie mode, the first slides up to a position above the display, and then swivels itself to face the front. What’s so great about it here is the ability for users to now utilise a single high-definition 48MP camera for both normal and selfie shots, as opposed to standard instances where the selfie camera is usually inferior quality-wise to the rear camera. As expected, with the implementation of the rotating camera module comes a 6.7 inch display that spans the entire front facade, with no punch hole cameras, notches, or any other obstructions to be seen. Yes, there are already quite a number of options in the market offering the benefit of having unobstructed screen real estate. But Samsung’s offering with the A80 (they call it their New Infinity Display) is extra special considering the proven quality of its LED panels. As always, colours are vibrant, accurate, with an amazing brightness level to boot, and you really need to see it for yourself to be convinced. The 6.7 inch New Infinity Display on the A80. Plus, the A80 comes without Samsung’s typical curved edges at the sides, so depending on what you like, this could be a plus. Aside from the attention-grabbing camera module, the A80 is pretty well stocked in other departments. Starting off, it comes with an octacore SOC—purportedly a Qualcomm Snapdragon 730G—and 8GB of RAM which means ample speed and room for multitasking. Its 3,700 mAh battery doesn’t amaze, but to compensate they have included their Super Fast Charging technology which delivers power to the reserves faster than even on their recently released S10 series. When paired with the on-board Adaptive Power Saving mode, users should theoretically be able to enjoy using their devices for quite a bit before worrying about battery life. Truly, the motorised parts that comprise the slider and rotating camera module together form a double-edged sword in a sense that there’s always a higher risk of failure when it comes to such mechanisms. And when you consider that the selfie camera is something buyers of the A80 will tend to use plenty, the problem is even more obvious. The slider and swiveling camera module on the A80 gives way to some empty spaces when opened. When we quizzed Samsung representatives on just how long-lived the camera mechanism would be on moderate use, we were given an inconclusive reply that went something along the lines of “more than long enough to last you until your next device”. The fact that there are gaps that open up in the body when the camera module slides up also presents the problem of dust, dirt, and other particles getting trapped within the slider of the A80. All this considered, I’d be pretty hesitant to bring the device to places such as the beach, where there’s plenty of sand that could easily get into the gaps. One puzzling omission from the A80 was expandable storage. Considering how much the device is marketed as a social media workhorse, the lack of options to go beyond the comparatively paltry 128GB of internal storage is probably one of the A80’s strangest product design decisions. Arguably it would have been alright if the phone came with options for larger storage sizes, but to not have the option to add on an expansion card into its dual-SIM tray is counter-intuitive to main purpose of the phone, which is to take lots of photos and videos. Having had first looks at the A80, we’re now interested to see how Samsung prices it when it releases on the 29th of May. For all of its features, we think the A80 will definitely be able to capture the attention of those looking for a social media device, but we also feel that it’ll do better if priced right. To find out more about the Samsung Galaxy A80, head on over to the official website.